Fr Fernando Montano MG, Parish Priest of St Monica's North Parramatta, Diocese of Parramatta. Photo: Elizabeth McFarlane. Whilst living in Hong Kong, Fr Fernando was invited to Australia in 2006 by the then Bishop of Parramatta, Bishop Kevin Manning. 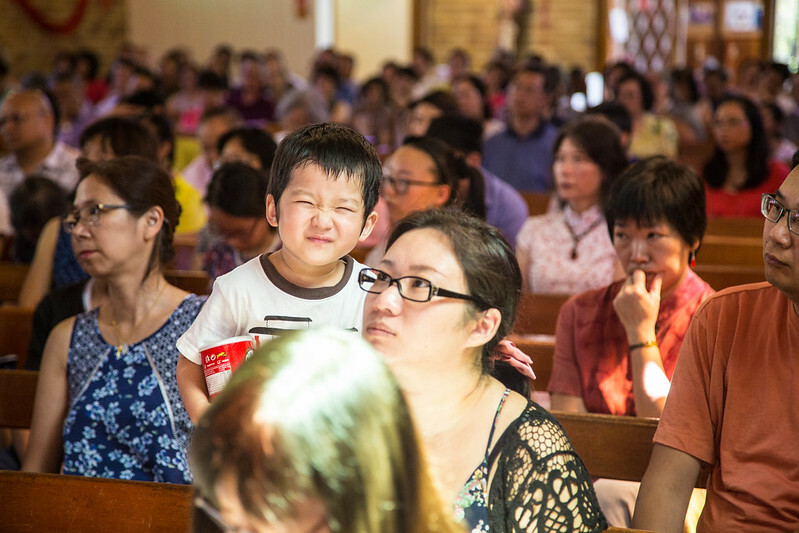 The invitation was simple enough, to lead the Chinese Chaplaincy in the Diocese of Parramatta. Fr Fernando took up the offer and quickly settled into his dual role at St Monica’s Parish, North Parramatta, initially as assistant priest under Fr Brian Rooney and by 2008 as parish priest. “Initially, I struggled with the Australian language, people speak so fast here,” the jovial Fr Fernando said. Fr Luis Fernando Montano Rodriguez MG, affectionately known as Fr Fernando to his parishioners, has a well-travelled, multilingual history. Ordained a priest in 1991 by the Guadalupe Missionaries (see below) Fr Fernando was born into a devoutly Catholic family in Mexico City, Mexico. He recalls his tender upbringing as laying the foundation for him wanting to become a priest. “From a young age, I knew I wanted to be a priest. The idea of being a priest was natural as I come from a devout practising Catholic family. This was normal, like someone wanting to become a lawyer or an engineer, I wanted to become a priest,” Fr Fernando said. Undeterred by his initial hurdle in trying to understand Australian English, Fr Fernando puts his language skills to good use in his “highly, highly diverse, very highly diverse” parish. “We are small in geography, but a tight-knit community. I have people from all over the world; Australians, Europeans, South Americans, Lebanese, Indians, Sri Lankans, Filipinos, Chinese,” Fr Fernando said. “I speak Cantonese, Spanish, English, and Chinese sign-language. My parish and chaplaincy is very close. We are a friendly Catholic community and are proud of being Catholic,” Fr Fernando said. Fr Fernando’s ability to speak many languages is a gift to his parishioners at St Monica’s and the 300 faithful who make up his Chinese chaplaincy. “People want to pray in their own language. The number of people from Hong Kong and, more recently, from China has increased. Me speaking to them in their own language is a huge experience, especially as some people have not heard the Gospel preached in their native tongue before,” Fr Fernando said. As a priest, Fr Fernando believes his work is about Jesus and His message of love, regardless of who the person is. “I want to help Jesus establish the Kingdom,” Fr Fernando said. What’s the secret to his ability to communicate with so many different groups of people with seemingly little in common other than a shared faith? “People come to church to hear the word of God, and for me, it’s about how I break down that message to such a diverse community. I try and use plain, simple, language” Fr Fernando says with a smile. The Guadalupe Missionaries “MG” (Spanish: Misioneros de Guadalupe) are a missionary society from Mexico City, Mexico. Founded in 1949, they are dedicated to foreign missions around the world and have a presence through their 150 priests in Mexico City, Japan, South Korea, Hong Kong, Kenya, Angola, Mozambique, Brazil, Cuba and Peru. Fr Fernando is the sole MG representative in Australia.